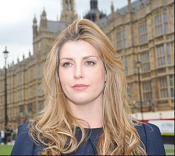 The Chief Fire Officers Association has welcomed the announcement by Fire Minister Penny Mordaunt of a £75 million fund to help fire and rescue services improve frontline services to the public. The Fire Transformation Fund has allocated money to 37 projects across the country, following bids from fire and rescue authorities. The awards will be used to develop innovative projects to increase efficiency, extend collaboration and improve services to the public. The awards include £5.96m to Surrey for a project working with the Police and Ambulance Service on transport functions across Sussex and Surrey; and £3.78m to Durham to build joint emergency services stations, one of which will also house the local Mountain Rescue Team making the site the first ‘Quad-Service’ in the country. CFOA President, Peter Dartford, said: “We welcome the government’s announcement of the distribution of the Fire Transformation Fund. The funding awards recognise the collaborative transformational approach that fire and rescue services are taking, both internally and in association with other emergency services and local authorities, to mitigate the effects of increasing financial pressures.